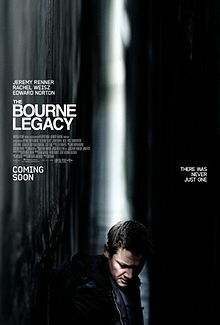 I just watched the movie The Bourne Legacy. The author of the book blatantly exposes the criminal elite, their immorality and ruthlessness. It is a very good movie, and I had to wonder if the author, Robert Ludlum, was still alive. He is not. According to wikipedia, he died in 2001 in his Florida home while recovering from serious burns caused by a “mysterious fire.” The same way his characters die when they expose the truth. Since his books are so widely read, with a worldwide readership, and it is so obvious that 9/11 was an inside job (https://youtu.be/nUDoGuLpirc), I wondered what is keeping people from understanding that their fate is in the hands of psychotic criminals. I know that the programming of our citizens have been quite effective; they are shopping and killing machines. But isn’t it obvious that something is wrong, that we are cannon fodder? Perhaps there is still time to wake some people up, so please support my work. Please do . . . unless you are afraid to die in a “mysterious fire” also. (http://www.amazon.com/11-Truth-Implications-S-Guzman-C-ebook/dp/B00GEIKLPQ/) But if you are afraid, please remember that your fear will probably make you and your children slaves . . . or corpses. 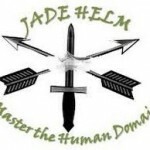 Jade Helm 15 | Don’t Worry! Be Happy! Jade Helm 15 is coming. But it’s okay, why worry? Let’s see. Do you remember the assassination of John F. Kennedy? Did Lee H. Oswald used that magic bullet? Impossible! So, who killed him? (Must read: JFK and the Unspeakable: Why he Died and Why it Matters) The evidence says our government (CIA) was involved. But hey, it was nothing personal you know. He was trying to restore democracy; he was interfering, okay? The elite has plans and he was on the way, okay? It was just business. Nothing personal. Don’t worry, trust your government. I know, I know they also killed Robert, his brother, and Martin L. King Jr, but again it wasn’t personal; they were obstacles. Okay? Don’t worry! Trust your government. Now, let’s get to 9/11 (I could go into much more but that could worry you, and we don’t want that). So okay, 9/11, do you want to trust all those nuts out there with evidence (http://ae911truth.org/) (overwhelming evidence) that 9/11 was an inside job? No! Absolutely not! You trust your government. It’s okay! Don’t worry! So what if those people had to die? The Military Industrial Complex needs the money. Okay? Nothing personal. War is money, war is a racket. Okay? Look at all the ongoing wars 9/11 created (more coming): more dead people, more money. Nothing personal. It is a very profitable business. Besides, they have plans. Don’t worry! Trust your government. At the present moment some people are worrying about Jade Helm 15. Why? The Military Industrial Complex is just practicing; they need to stay in business. And if you are interfering, you have to go. Don’t worry! It’s nothing personal. They have plans. And business is business. Why worry? Be silent. You have always been silent. Why worry now? Do you have any reason to mistrust your government? Soooo, don’t worry. Trust them. Hey, but I have to tell you, the Hunger Games are here now. Have you noticed? War! War! War! 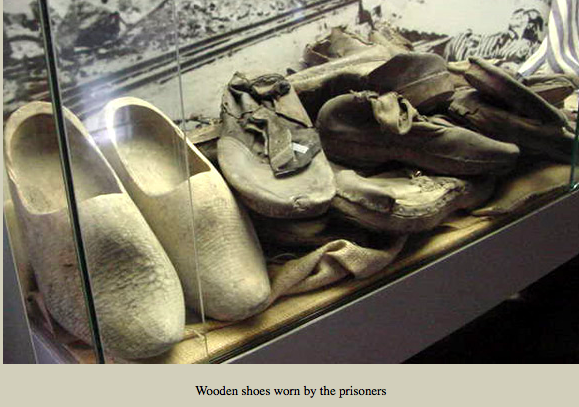 The new holocaust? And 9/11 was an inside job. But don’t worry. Why should you worry? They only want your kids. Who cares? Why worry? Give them your children . . . and may the odds be ever in their favor. Jade Helm 15? Who cares? Don’t worry! Trust your government. Below I am adding some links to put you completely at ease. Don’t miss them! Relaxing! Why worry? Don’t worry! Be Happy! And if the shoes fit, wear them. Filed under: Perspective | Tagged: AE911truth, business, Elite, government, Jade Helm 15, JFK and the Unspeakable, Military Industrial Complex, The Hunger Games, War, Wooden Shoes |	Comments Off on Jade Helm 15 | Don’t Worry! Be Happy! Elections 2016 | Sham | Democracy is Dead! If you vote on the coming 2016 elections you are just the victim of a sham. The last nail on the coffin of our democracy was hammered in when our last honest president John F. Kennedy was murdered. The Federal Reserve (mega banks) owns our government, our politicians (prostitutes who have not only sold themselves but also their country), our economic system and the media. They will do what they want regardless of who is our president; if he (she) fights the system, he (she) will be assassinated too. Our socioeconomic system is run by a group of psychopathic thieves and murderers; it is rotting at the core. There is no way it can be reformed; it has to be cleaned, the scum (parasite) has to be disposed of. There is no alternative, no way to go around it. The only vote we have is how we spend our money. Boycott! To kill the parasites that sicken our society we starve them. We boycott Coca Cola, Walmart, McDonald etcetera, but above all we must boycott Bank of America, Citibank, Chase, Wells Fargo etc., (all the international banks). Humanity has reached a crossroads; if we don’t kill this monstrous parasite now, humanity may be lost, our youth is already walking dead. Joining the monster is no salvation either; it will end up devouring itself. It has already started to. V for Vendetta: this movie is a reflection of life today. Our movement toward independence and democracy has almost been hijacked. Either that or it is a movement without soul. We want reform. But “reform” is a meaningless word in a socioeconomic system run by sociopaths and criminals. We don’t seem to understand that before we can have reform we have to clean house; any honest man (or woman) elected president would be killed. Remember Kennedy? Any person elected, even on mid-term elections, must agree with the system or else . . . Most of our “activists” are beating around the bush. We have to accept that we have criminals running the show. We have to accept the overwhelming evidence showing that 9/11 was undoubtedly an inside job, and the criminals must be put in jail. There is no way around that. Only then can we change our socioeconomic system. Newsnight host Evan Davis: Do you believe the Twin Towers were destroyed by forces of the American government or similar? Brand: I think it’s interesting that at this time, we have so little trust in our political figures, that ordinary people have so little trust in our media, that we have to remain open-minded to any kind of possibility. Do you trust the American government? Do you trust the British government? Davis: But you’re not suggesting the Bush family were involved in 9/11? Brand: I don’t want to talk about daft conspiracy theories here on Newsnight, mate! Now he’s really beating around the Bush. (Pun intended) And he’s calling it a “daft conspiracy theory.” But there is no theory here; there is e v i d e n c e, overwhelming evidence, that September 11 was a flag attack. So, is Russell afraid of the gruesome truth? Is he actually just a front for the controlling oligarchy? Does he want reform? I am a member of http://ae911truth.org/ and I am proud of them. They (and other groups) have done an incredible job in gathering more than enough evidence to put Bush and Cheney in jail, pending trial. But they want another investigation, and there is no way that the corrupt government we have is going to allow another investigation. It would be sabotaged; it would be stopped somehow and its members killed. We are dealing with psychopathic killers here. Do you see what I mean? We need a real occupation but . . .
What about the occupy movement? They want “reform” too. I know that because I went to three of their meetings (in Santa Barbara, San Diego, and Tucson) and they wanted to petition and negotiate with criminals. They told me that 9/11 was not of their concern; the horrendous crime committed on September 11 of 2001 against America and the world was not of their concern. What do you think of that? Of all our revolutionary groups Anonymous is the only one to address 9/11 . . . finally. http://youtu.be/zS-V38OxWDo They are going in the right direction. They are exposing the psychopaths. But, how do we stop the psychopaths? The quest for a new investigation by Architects and Engineers for 9/11 truth has been useful in many ways. We have greatly raised awareness about the 9/11 false flag attack. But what we need is not a new investigation; we need a global boycott. We need a general strike–that would be a real occupation. 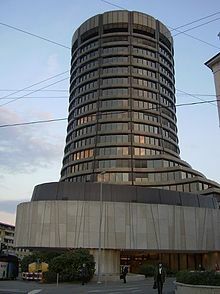 The mega banks are the head of the monster; they control our economy and our governments, and you know what: they work with our money. We need to boycott them. We need to boycott the cars with combustion engines. If only 40% of the global population does that it would start the ball rolling. And we could follow with a general strike to stop the system in its tracks. The question is: are we up to it? Is the spirit there? Or will humanity continue to be the slave of greed and ego; will it remain the most destructive species, the scum of the earth? On November 5, 2014 there is a Million Mask March in Washington DC, organized by Anonymous. (http://youtu.be/P_jrvbNam2Y — last year’s) It is really a global march. It is worldwide, so we will all be there one way or another. Let’s make that day the beginning of the end of a very sick socioeconomic system. Let’s do it! And remember to boycott, boycott, boycott; that is our vote. Don’t give them your money please. Spread the word! And get ready to do a general strike until they are all in jail. The time is now. Justice for all! Remember, this year is worldwide! AE 9/11 Truth is Your Organization | Join Us Today! It is your organization, fighting for your freedom. Since I am already a member, I am passing this email to you. Remember: All a tyrant needs to succeed is a silent majority, a silent victim. Join us today! 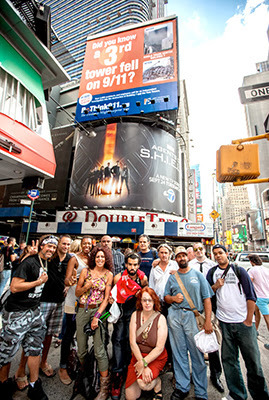 Of all the amazing projects that you have sponsored us to carry out in 2013, none was more inspiring to me than the 50-foot tall billboard towering over tens of thousands of people in New York’s bustling Times Square where, on September 11th, we delivered a powerful set of speeches to the crowd of 250 AE911Truth supporters and others gathered beneath. I was also deeply struck by the massive letter-writing campaign to pressure local and global corporate media centers. 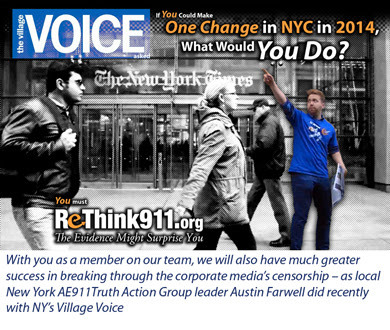 Because of your sustained efforts, New York’s metropolitan giant, the Village Voice, featured the ReThink911 call for a new 9/11 investigation in its New Year’s front page story about the “changes New Yorkers want to see in 2014” – yet another sign of the great effort AE911Truth supporters have been making and why you should join them today. You know that the people must be given the facts about the intentional explosive destruction of the World Trade Center and that they must be inspired to act. You knowthat the corporate media must be pressured and embarrassed until the censorship of 9/11 Truth cracks wide open. And, you know that only if you join with us and play your part in this historic endeavor will we be able to break through in 2014. It is not too late. 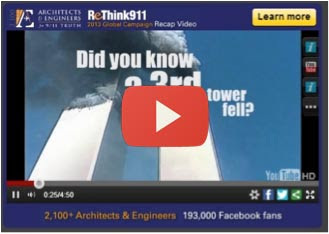 So… we will amplify the ReThink911 ad campaign in 2014:2,100 architects and engineers cite evidence for controlled demolition in our call for a real investigation.We will strengthen that message – and we will take it, big-time, into social media – and onto YouTube as advertising– targeting A/E’s, students, politicians, media reps, etc. – where Building 7 will be seen by millions on their own computers – coming down at free-fall. We can do it, and we can make it go viral on the internet, if we work together as a team. So we created a way to make it easy for each of you to join us today. Now, every one of our supporters (including you!) can be a Member, because we have a level of support for all – you can join us for as little as $2.50/month! And, you will also receive afree gift from us! You see, it is the numbers of supporters that will make AE911Truth successful – not a few large donors. We need hundreds of members to ensure our success in 2014. If just 10% of our supporters each joined us at the $5/month level we would be able to cover the main metropolitan areas of the US with billboard ads, educate thousands of elected reps across the country, and effectively reach out to most architects and engineers in the country with the WTC 7 dilemma. This puts your valuable resources into the most positive action. This empowers you to change the world.This is why it is your time to Join Architects & Engineers for 9/11 Truth. Please take a moment to reflect on what you can do today to ensure that we achieve the mission that resonated in your heart when you signed our petition. I look forward to working with you in 2014! Filed under: Current Affairs | Tagged: AE911truth, Architects, corporate media, Engineers, Membership, New York, Organization, richard gage, supporters, Volunteers |	Comments Off on AE 9/11 Truth is Your Organization | Join Us Today! Is Occupy Wall Street Finished? | Why? 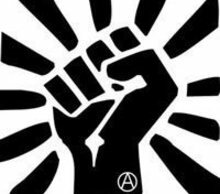 Is the Occupy Movement dead? Maybe Occupy Wall Street is not dead yet, but they have become “just another organization.” They are no threat at all to the corporate oligarchy anymore. Why? Because Occupy Wall Street had no demands when they should have demanded justice. They never had the courage to face the fact that there is proof that 9/11 was an inside job, done with explosives. David Chandler 2010 “9/11 Analysis” They want reform, but how can you have reform amid total corruption? How can you have reform without justice? Who will do the reform? Occupy Wall Street had no demands when they should have demanded justice. Maybe they didn’t care for justice. I went to one of their meetings and was told by one of them that 9/11 was of no concern to them. At another meeting they refused to accept the overwhelming evidence proving the use of explosives in the 9/11 “attacks.” Can you figure that out? I was dumbfounded. And I knew that they weren’t going far; they had already been neutralized. Regretfully, I was right, and the occupation never really happened. Maybe when we really start caring, the occupy movement will be successful. 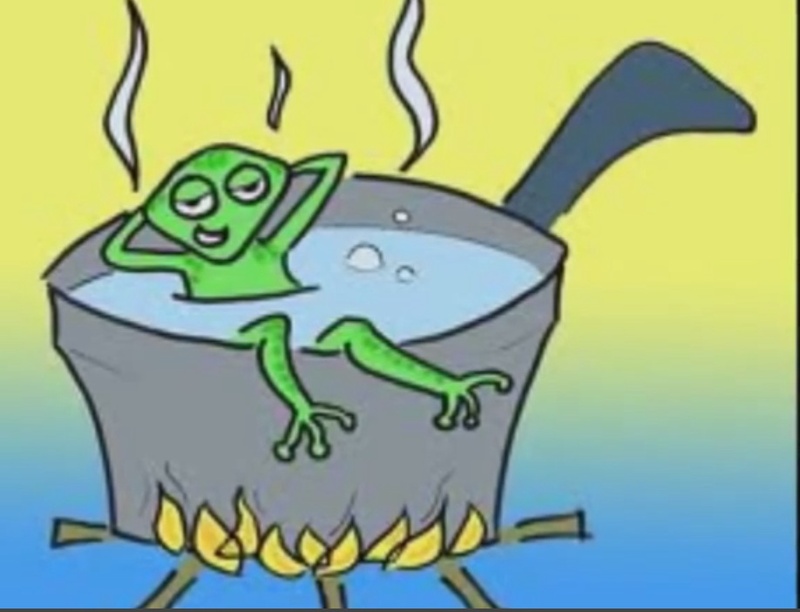 Maybe when we realize that everything is interconnected we’ll really start caring, and there will be a real occupation and a general strike to force Mrs. Justice out of her vacation, to force the criminals out of office and into jail. Have you seen the ReThink911 campaign for this year? We are spreading the word, join us! The lives you save may be your own kin. Your children will thank you in the future. Filed under: Current Affairs | Tagged: 9 11 attacks, AE911truth, America, Corporate America, David Chandler, Occupy Wall Street, Oligarchy, overwhelming evidence, Rethink 9/11, Threat, Treason, use of explosives |	Comments Off on Is Occupy Wall Street Finished? | Why?